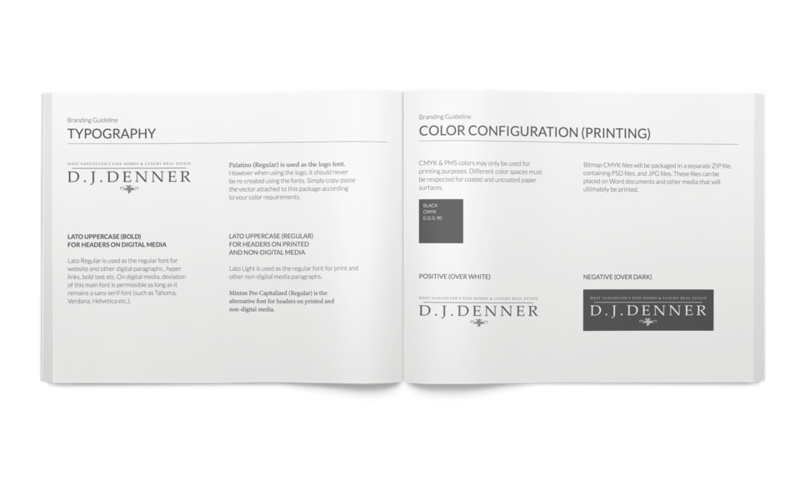 A gorgeous emblem, an exquisite typeface selection, all brought together seamlessly into a well-balanced branding! 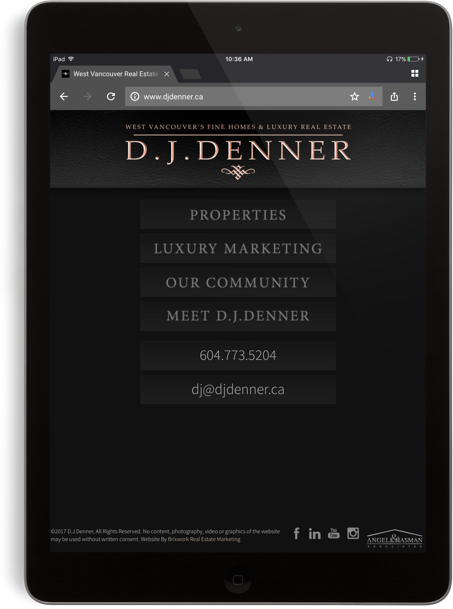 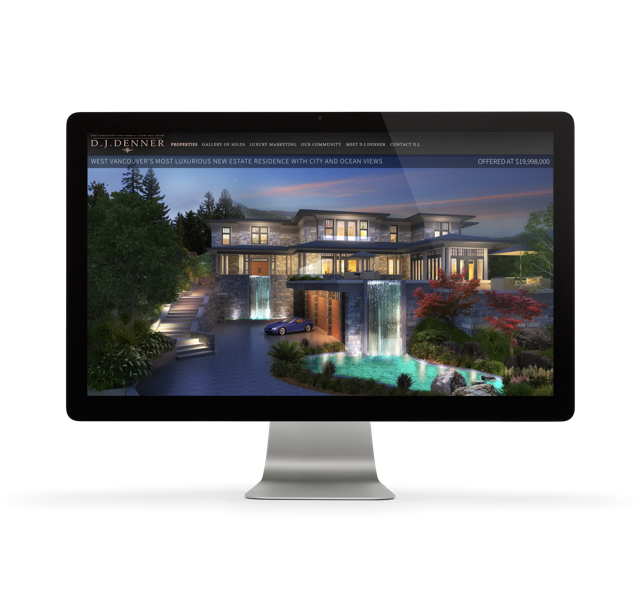 This luxury real estate branding perfectly suits DJ’s niche in luxury West Vancouver real estate – featuring some of the most astonishing estates and properties on the West Coast of Canada! 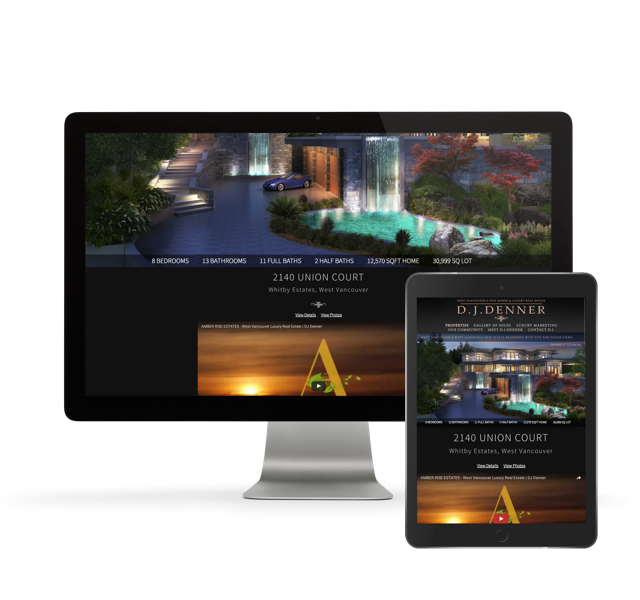 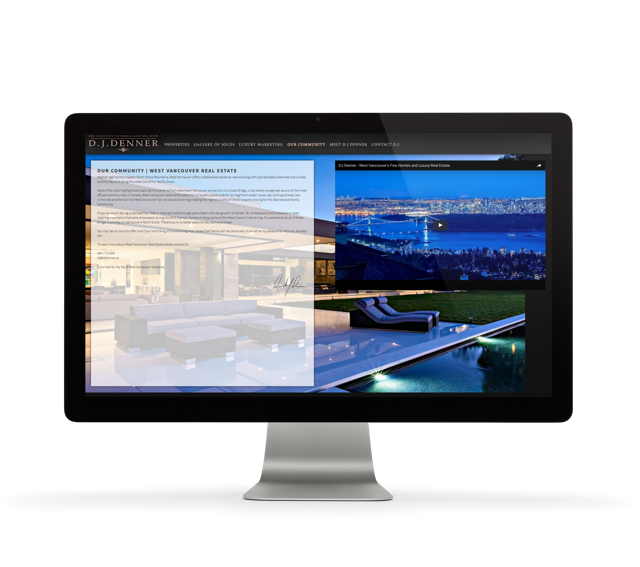 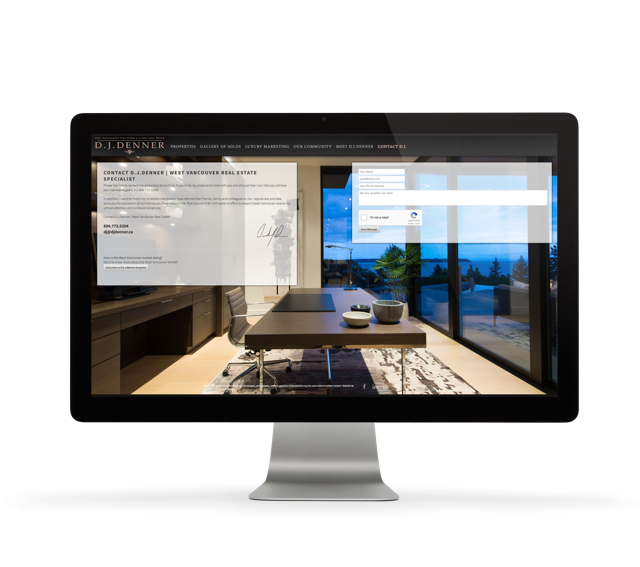 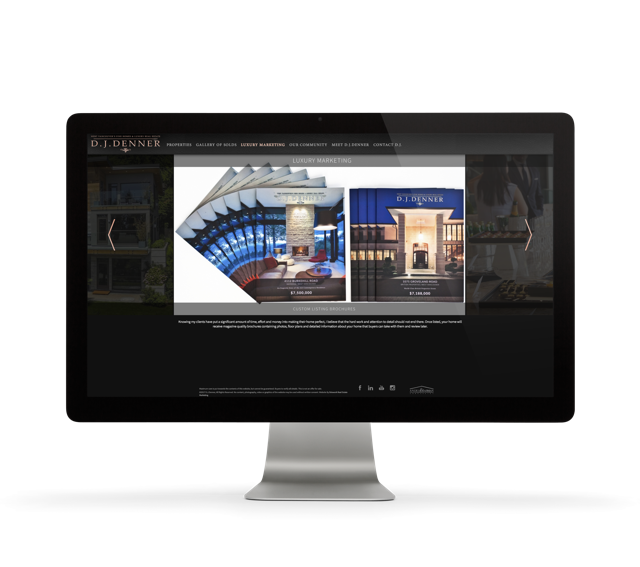 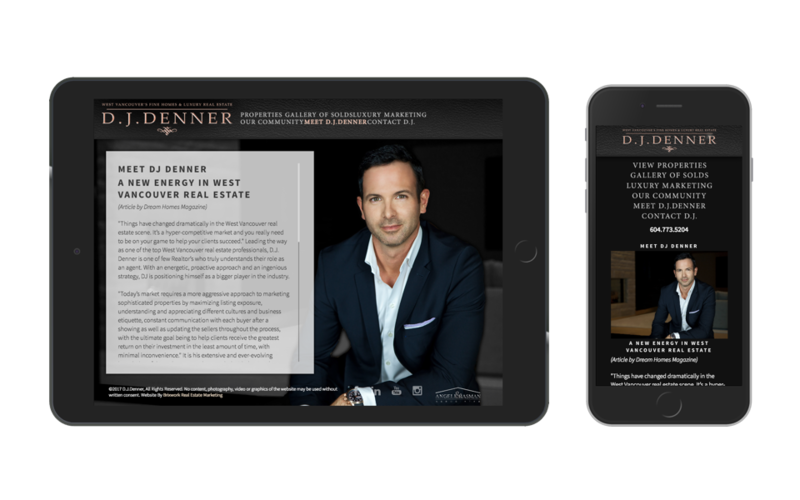 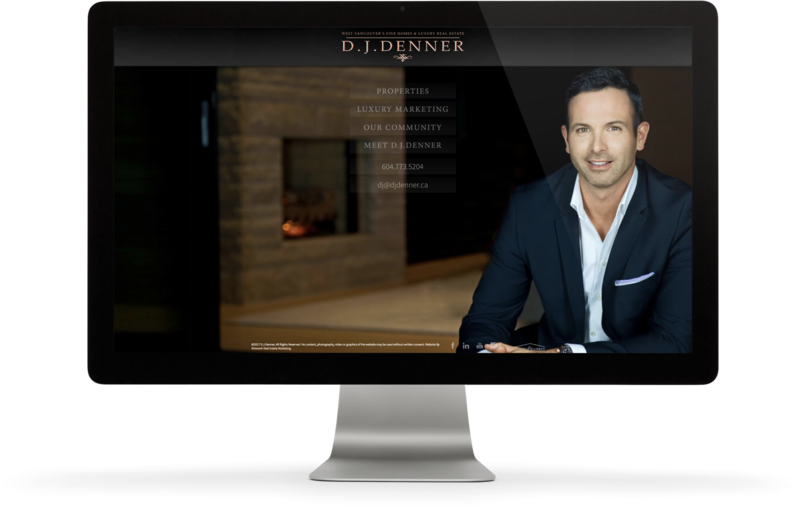 One of our finest flagship websites, DJ’s website features some of the finest hand-crafted details throughout, matching his high-standards of boutique marketing & white-glove services for some of the most lucrative real estate listings in Canada. 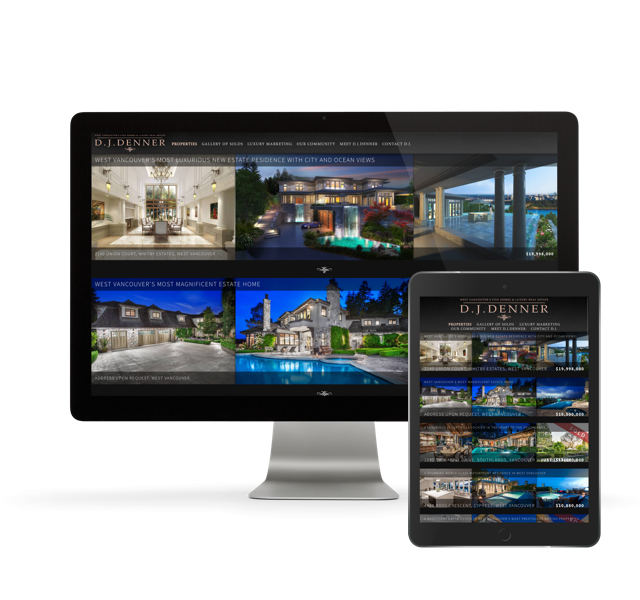 The subtle textures and animations showcase some of the finest luxury property photography and videos in the finest light possible!